Articles about my personal interests, like music, cinema, anime, etc. Reviews, impressions, thoughts, fun stuff and more. 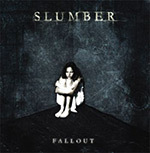 Great Swedish Melodic Doom/Death Metal Band "Slumber"
In 2004 unknown back then Swedish melodic doom/death band called "Slumber" released their first full-length debut album "Fallout", making happy all lovers of this music style, including myself. "Fallout" was well received by critics and gathered a number of highest scores from different media, which praised its energy and great atmosphere. It's worth to mention that while many albums from different artists and music styles has "pass-through" tracks that can be considered as fill-in between very few "hit" compositions, Fallout is a very strong and solid album, in which each and every track is completed work. Read more about Great Swedish Melodic Doom/Death Metal Band "Slumber"
How To Get Invited To Google+ Plus? Get Your Invitation Right Away! Dear readers of 3DG.Me blog! Most of you probably already aware of Google's new social network — Internet giant didn't go far for its name and this network was named pretty simple — Google+, or Google Plus. At this moment Google+ still is in closed beta-testing stage, while it already become pretty popular and trendy place. Registration in this social network was open for a limited time and now it's closed for general public, you can only get in there by being invited by a member of Google+. I was lucky enough to get an invite to Google Plus from my friend, so I am a member of this social network already. Thus all of my readers at 3DG.Me can get a invitation to Google+ as well! How? It's quite simple and quick — read the details next. Read more about How To Get Invited To Google+ Plus? Get Your Invitation Right Away! Yesterday I communicated with one friend via IM and after "emoticons battle" between us new idea appeared — what if create animated cartoon with emoticons as main characters? There were concerns that such idea is not new and someone already made this. So I searched YouTube and found this funny cartoons, slightly similar to what I'd like to create someday.